Blockchain is all the rage, although the technology is so much more than just about bitcoin and cryptocurrencies. 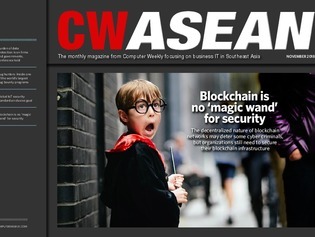 In this issue of CW ASEAN, we examine how blockchain is being applied in cyber security, and whether the technology is really as secure as claimed by its proponents. A senior executive at Singapore’s Cyber Security Agency has stressed the role of corporate data governance and government regulations in raising the bar on cyber security. Trend Micro’s Zero Day Initiative is a leading bug bounty program that shares software vulnerabilities with suppliers including Microsoft and Adobe. Despite the lack of a global internet of things security standard, existing security frameworks are on the same page in areas such as device upgradability and data stewardship.